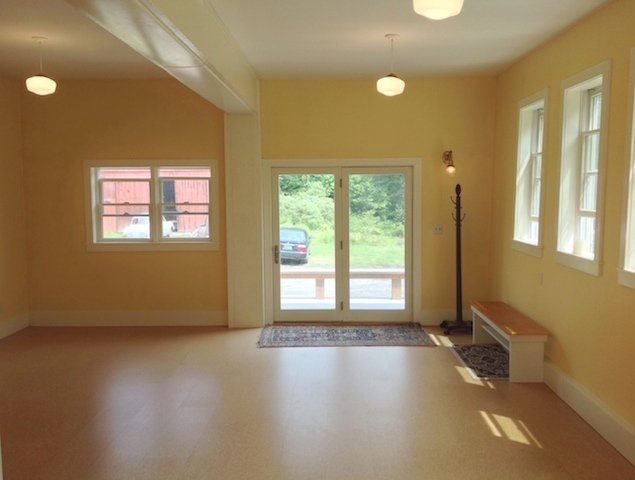 The Studio is a light-filled open space in the Farm House suited for meditation, yoga, dance, or meetings. 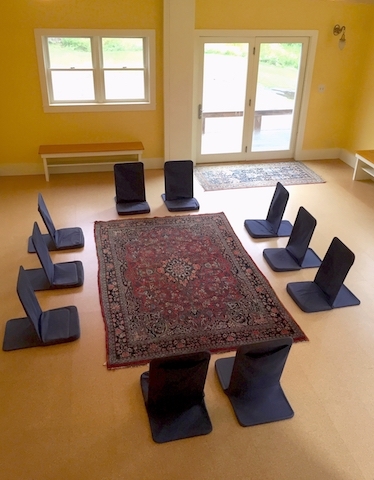 The room can be cleared completely or can be set up for meditation with up to 11 back jack seats plus additional pillows and blankets. 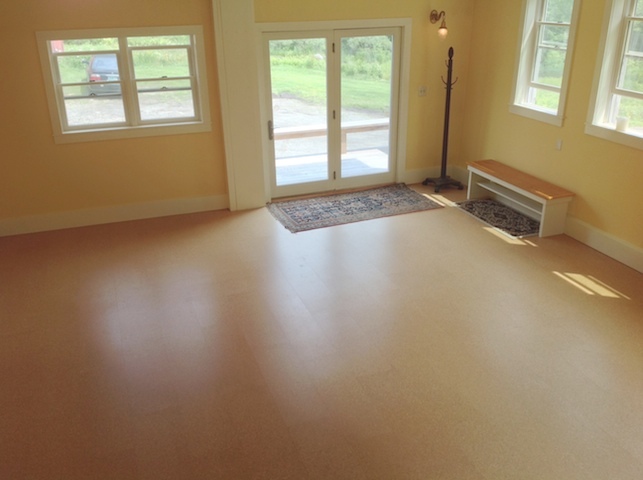 There is room for up to 21 yoga mats. The room is 25 x 19′. The floor space is 20 x 19′ plus a 5 x 9′ platform raised up one step level above the rest of the studio.